As a senior at Northwestern, I think often about the media depictions of students of color at our university, as well as the spaces that students of color are allowed to occupy and the degree of ownership we are allowed to have on this campus. I have wondered why I am not satisfied by the “diversity photos” the university pulls together every now and then. Sure, sometimes I am excited to be selected for these photos, but then I remember the time I was sent home because I was not needed anymore. There were enough Muslim women like me in the brochures and one more would be one too many. Most recently, I watched two campaign videos that were proudly sent to the Northwestern student body and widely distributed through various forms of social media. The first was the video for NU Purple Friday and the second was the “We Will” campaign video. When I first watched the Purple Friday video, I was concerned by the way that Muslims are portrayed in Northwestern media. It seems that the University only cares to show Muslims (particularly women donning the hijab) from NU’s Qatar campus. 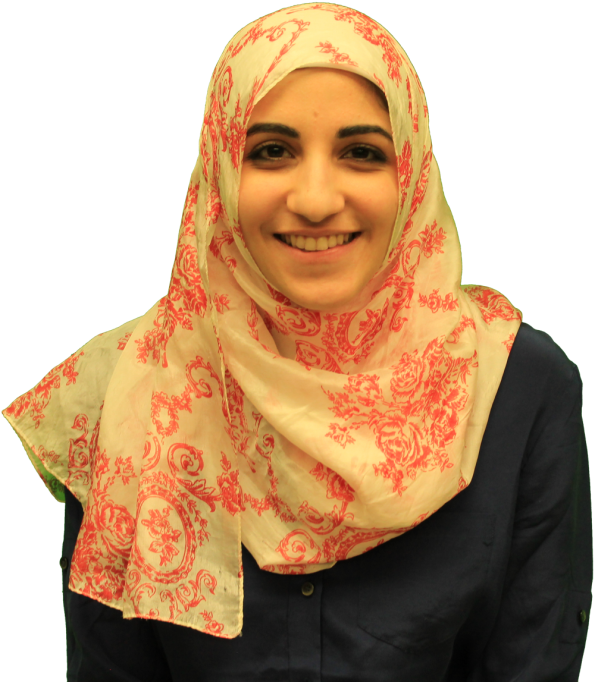 This policy exoticizes Muslims, although we are a significant part of Evanston’s campus. The Muslim-cultural Student Association alone is an A-status group, not to mention the countless number of Muslim students involved in other organizations across this campus, from ASG academic vice president Sofia Sami to former ASG financial vice president Siddiq Ather. These phenomenal students speak for themselves. They do not need me to defend or represent them, nor do they need university representation to excel. My point, rather, is that the University uses NU-Q as an example of its thriving diversity. However, NU-Q does not, and cannot, compensate for a lack of diversity in Evanston. The reality, ultimately, is that we live on a campus in which the dominant narrative is whiteness, and by whiteness I refer to the power dynamic between white students and students of color. When I watched the “We Will” campaign video, I was deeply troubled by the ratio of white male speakers to speakers of color. The reference to NU-Q as a facet of diversity and the depiction of Muslims as belonging only on that campus troubled me, too. But perhaps what bothered me most was that the video might be the most honest depiction of Northwestern, of the university itself and the diversity within it. The video is merely a moment in which these values were allowed to slip into the public sphere. Looking at the “We Will” campaign video, the imbalances of power at this institution are only too clear. The video features a plethora of white donors and a handful of people of color. The single African-American individual who speaks only discusses his scholarship. The entire Southeast Asian student body is completely unrepresented. The rest of the speakers are primarily white males — donors to the university, members of the Board of Trustees and professors who have garnered millions of dollars in funding from their research. Yet no one asks why it’s acceptable for that to be the case. The reason is quite simple. The video embodies the white gaze: the way that students of color are viewed both on and off this campus by the University and its representatives, by those in positions of power. As a matter of fact, it exemplifies the racial realities of society at large. Some of you might disagree with me, insisting that we are all equal and treated equally by all people. However, the insistence that we all operate without prejudices inhibits us from examining our racial filters. It ensures that a system of oppression continues. Every person’s identity develops out of an image reflected at him or her by society. We, as minoritized groups, bear our own perspectives and the perspective of the dominant group (whiteness). We have not systematically held positions of power in the world or spoken without fear that our words might be taken as the single narrative of a population. As a person of color I have worked to develop in a system designed to portray me as other, as representative of an entire race or religion. As a person of color, I do not have the privilege to be an individual in the same way a white person might be. If you doubt me, look at the news — a bombing by a Muslim is a terrorist attack, while a shooting by a black man is another example of inner-city crime. Meanwhile, the Sandy Hook shootings are a moment of individual insanity. Race does not exist for someone who is white, for an all-white room or an all-white suburb. We have been taught to believe that the separation into white and non-white neighborhoods and schools is not segregation. We are taught, too, that the disparities born out of this segregation are not a product of racial realities in this country. We have been trained in our culture to see this as the norm. The campaign film I mentioned is merely an example of this socialization. It only emphasizes a reality: Northwestern does not consider people like you or me capable of becoming the type of donor it seeks. It is a harsh reality, but a very true one. At this point, I’m sure you’re wondering what it is that I want. Am I demanding another photo of someone like me be haphazardly placed in a pamphlet? Am I demanding that the Board of Trustees meeting not consist of individuals who insist that Northwestern is “brave” to be civilizing the Arab world by planting a campus there, “considering Al Jazeera and all that stuff going on in the Middle East?” (Thank you, Ben Slivka)? I am not really demanding either of these things. Rather, I am demanding that they not remain silent facets of this institution. At the end of the day, the videos, the photos and pamphlets and propaganda are not just about exoticizing Muslims or forgetting to include a few South Asians or ensuring that Black students look disadvantaged. They’re about a position of power. And no photo or image in a piece of media can change these conditions without acknowledging that power dynamic. Before I realized this, I took it upon myself to tweet @NUAlums to ask about whether anyone had considered these facets of the videos, and to express my concerns. Certainly, the video is truthful; it might even be representative, but it exposes the positions that students of color are and are not allowed to occupy on this campus. The real problem with this response from @NUAlums is that it declares Northwestern non-complicit in a system that oppresses students of color. It says that having a predominantly white university and administration is normal and representative of all of us, when it is not. We are not the face of this university. Any video that shows us as one-third of its population is taking advantage of our color and our culture and our name. No matter how many times you and I are featured in a brochure beside each other, Morton Schapiro will still ask where we’re “really from” because we’re so “diverse” (read: non-white) that we must be international. It’s a bitter truth, but to change it we have to question the norm. We have to ask what fair representation really means, and remember that the diversity in a brochure is just the tip of the iceberg.